The flag was the result of a flag contest held in 1976 by the Frederick County Bicentennial Commission. A panel then selected 5 entries using as criteria public vote on the best flag and an evaluation from flag manufacturers on the best design that would be adaptable to a flag. The contest was won by James Pearl. The stripes represent Frederick County's patriotic heritage. The figure of Francis Scott Key on the flag reproduces the statue at his grave at Mt. Olivet cemetery in Frederick city. The right hand points to the flag, the left hand depicts him holding the Star-Spangled Banner. The design was adapted to show Key pointing to a map of Frederick County. Accessed on August 19, 2002. 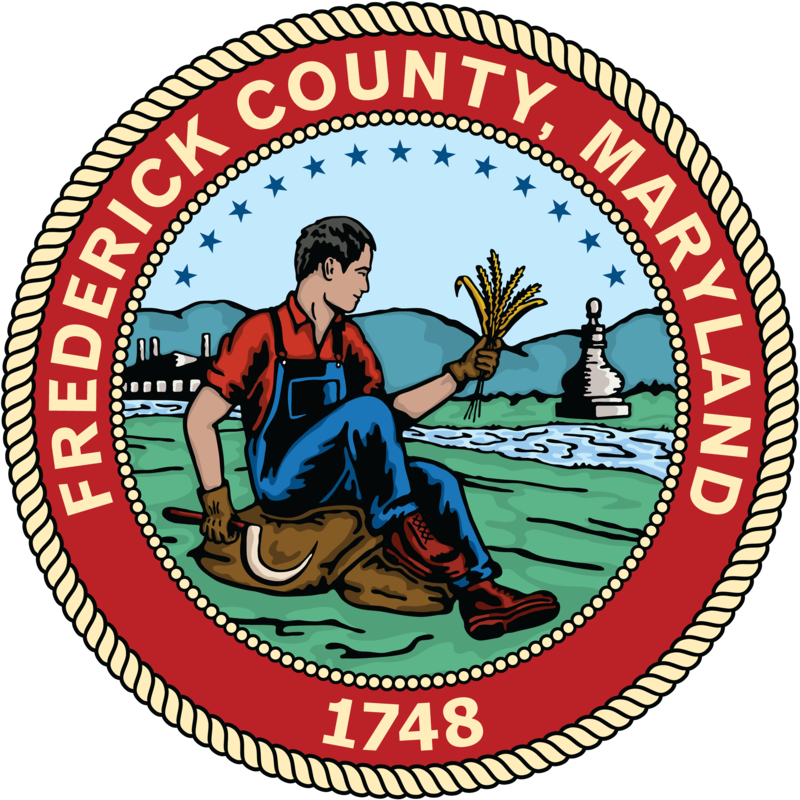 An image of the county flag at www.cityoffrederick.com/PublicInfo/PressReleases/2003/November/11-17-Reflection.htm shows the black elements in the flag as blue.